Well, my old grandmother always said that we Gilflurt girls would get a reputation and it seems that, in some quarters, my reputation is for ending tales with a visit to the National Razor. For those of you who have been missing the shadow of the guillotine for a few weeks here at the Guide, you'll be pleased to know that the fearsome instrument of execution makes another appearance today! We are back in Paris, back on the tennis court and back on the scaffold to learn more about the life of Jean-Sylvain Bailly. 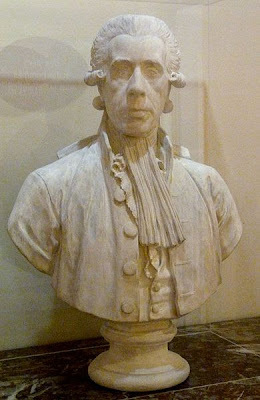 The man who would become one of the architects of the French Revolution was born in the Louvre, the son of Jacques Bailly. Jacques was an artist and supervisor at the Louvre and the son of Nicholas Bailly, a painter at the Bourbon court. With the blood of painters running in his veins, the young Bailly found himself torn between the worlds of art and science but under the tutelage of Nicolas de Lacaille, he eventually developed a fascination with astronomy, a subject in which he was an exemplary student. 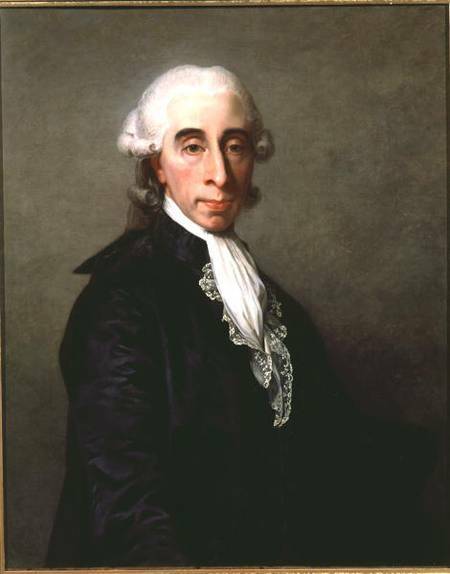 Passionate about science, Bailly assisted with the construction of the Louvre observatory and was welcomed into the Académie des Sciences in 1763, joining the Swedish Academy 15 years later. Whilst progressing his astronomical research he found time to write on the subjects of literature, history and philosophy and moved in the highest intellectual circles in France. Bailly was devoted to his academic and scientific career but when the Revolution swept through Paris, he found his life changed. 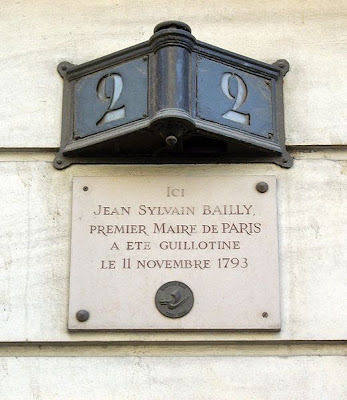 A respected thinker like Bailly was perfect for the new regime and in 1789 he was elected as the Parisian Deputy to the Estates-General, swiftly moving from this office to that of inaugural president of the National Assembly. 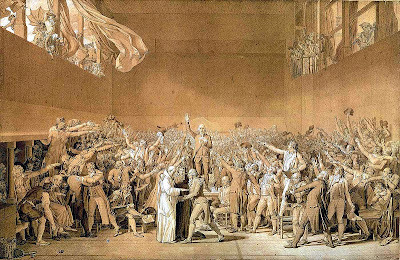 It was Bailly who presided over the Tennis Court Oath, an event I examined in my post about the ill-fated Louis XVI but to refresh your memory, the relevant snippet follows! 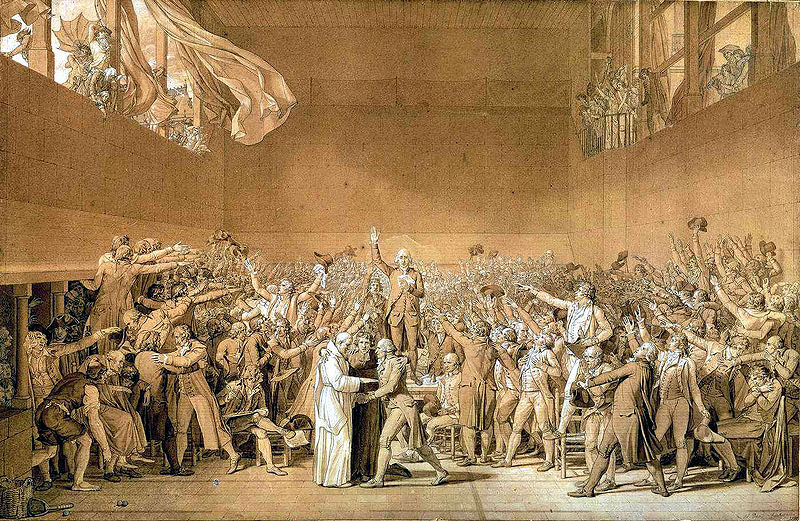 Furious at their exclusion from a meeting in the Hôtel des Menus Plaisirs in Versailles, members of the Third Estate held a conference on a nearby tennis court. They believed that they were deliberately refused entry to the meeting and swore an oath of allegiance that they would not disband until a French constitution was written. It has been suggested that the doors of the meeting hall were likely locked as the royal family was in mourning for the King's oldest son, who had been dead barely a fortnight. Nevertheless, the Oath was a turning point as French citizens formally declared their opposition to the monarch. Faced with this vote of no-confidence, Louis attempted to make concessions but the damage was done and the idea of constitution began to take root. Less than a month later there were mobs on the streets of Paris and the Bastille fell. Once again Bailly found his political career on the move after the events at the Bastille and on 15th July 1789, just 24 hours after the mob took the fortress, he became the mayor of Paris. Two days later, Louis attended the Hôtel de Ville where Bailly presented him with a tricolour cockade, a potent symbol of the revolution. However, he was unpopular with other revolutionaries who saw him as too staid to hold the important office of mayor, a role they hoped to see going to someone more radical. He was keenly aware of the limits of his own authority and pushed them as far as he could, in 1791 repealing taxes placed on Jewish residents and declaring them French citizens, a move that was viewed with suspicion by some. It was not this policy that would cost him his career though, it was instead a fateful decision he took later that same year. On 17th July 1791 a crowd led by Danton and Desmoulins gathered on the Champ de Mars to deliver a petition calling for the removal of the monarch. With the people growing restless, Bailly sent the marquis de Lafayette and the National Guard to control the situation. Warning shots were fired and were met with a volley of stones and abuse, at which point the National Guard fired on the crowd itself, killing some and wounding others. This was to prove a disastrous decision and Bailly's popularity plummeted, the mayor suddenly seen as a traitor to public democracy. Faced with such open dislike from the citizens he retired and moved to Nantes, where he wrote several volumes of autobiography. However, whilst visiting Melun he found himself arrested and brought back to Paris to face the Revolutionary Tribunal to testify against Marie Antoinette. When he refused, Bailly was placed on trial for his life. The trial opened on 10th November 1793 and on 11th November he was sentenced to death, his appointment with the guillotine set for the following day. For Bailly, the Tribunal made a special recommendation: his scaffold was to be erected on the Champs de Mars, the very site where the National Guard had fired on the crowd. The former mayor of Paris went to his death with dignity and courage, undaunted by the mob that heckled him all the way to the guillotine. Standing in the freezing November rain he awaited his fate apparently without fear, telling the heckling crowd "[If I shiver], it is only the cold"; minutes later, he was dead. The Jewish race has always had a hard time of it and even when someone tries to be honourable their bad luck rubs off! How the luck and fortunes of one man can run so high and turn so disastrously low is a reminder as relevant today as of the fickle times of the French Revolution! Reversals of fortune were *very* common during the Revolution; I thought you would appreciate the return of the Razor! *Flutters fan* You are not the first to say that around these parts!